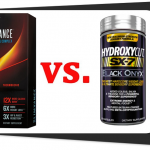 BodyDynamix Super Citrimax joins the brand’s Slimvance® Core Slimming Complex and Slimvance® Thermogenic products sold at GNC. While the other BodyDynamix formulas are multi-ingredient complexes, Super Citrimax is a single-ingredient formula. But does it work? And how does it fit in with Slimvance®? Let’s find out in this BodyDynamix Super Citrimax review. Super Citrimax. A premium branded form of Garcinia Cambogia, standardized to 60% hydroxycitric acid (HCA). Stimulant Free. There is only one ingredient in this formula, and it is a caffeine-free botanical; ideal for no-stim lifestyles or for those who prefer to get their stims elsewhere. Other ingredients: Microcrystalline Cellulose, Dicalcium Phosphate, Hydroxypropylcellulose, Croscarmellose Sodium, Stearic Acid Vegetable Source, Silicon Dioxide, Crospovidone, Magnesium Stearate Vegetable Source , Titanium Dioxide (Mineral Whitener), Caramel Color, Hydroxypropyl Methylcellulose, Polyethylene Glycol, Talc . BodyDynamix Super Citrimax Directions: As a dietary supplement, take one capsule before the two largest meals of the day. BodyDynamix Super Citrimax supplies a premium, patented form of the trendy weight loss herb Garcinia Cambogia. 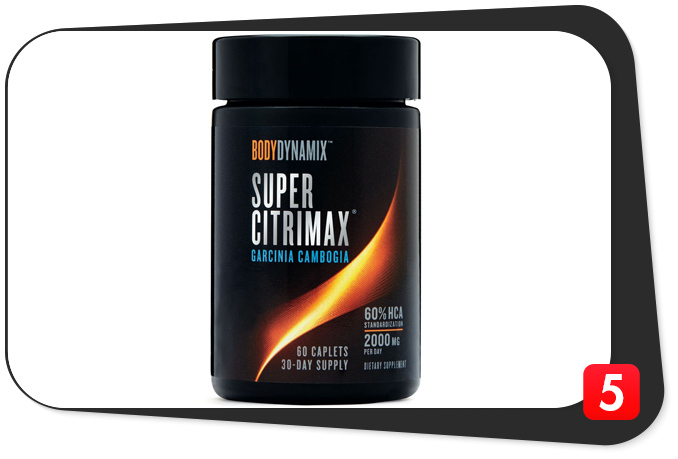 BodyDynamix Super Citrimax supplies 1000 mg of Garcinia standardized to 60% HCA and labelled as Super Citrimax. It seems like Super Citrimax could be stacked together with the Thermogenic formula to reinforce its small dosage of the ingredient. Or, Super Citrimax could be stacked with Slimvance Stimulant Free to add another layer of stim-free fat burning support. Either way, BodyDynamix seems to be emphasizing Garcinia cambogia as a fat loss ingredient. That is a good call, especially when supplying Garcinia as advanced Super Citrimax. Here’s why. Despite Garcinia cambogia’s popularity in reviews as a fat burner, science has still not confirmed exactly how it works – so keep in mind these weight loss-supportive activities are theoretical. Still, Garcinia cambogia has been shown in some human research to help reduce body fat, and it remains a promising and emerging weight loss botanical — and one of our top-rated fat-burner ingredients for use in weight loss supplement stacks. Super Citrimax is a top-shelf form of Garcinia cambogia. The most successful studies used 2800 mg of HCA – Garcinia cambogia’s active ingredient – daily. One study also achieved positive results with 900 mg of HCA daily. So there are research-backed benefits associated with this branded ingredient, however, BodyDynamix’s 600 mg of HCA per serving doesn’t quite match up with the research. As a single-ingredients supplements there is not much formulation to analyze in this BodyDynamix Super Citrimax review. However, we can speculate a little bit on why a this single-ingredient fat burner supplement is presented along with BodyDynamix’s far more complex Thermogenic and Stimulant Free formulas. Being that the thermogenic formula only supplies 100 mg of Garcinia cambogia extract, it makes sense that this product would serve as a complement to up the dosage of the herb to near-clinical levels. It also makes sense as a stim-free complement to the Slimvance Stimulant Free formula. It seems like BodyDynamix is placing a strong bet on Super Citrimax Garcinia cambogia – it may be intended to serve as an add-on supplement that stacks very well with the other two heavy-hitting fat loss formulas in the BodyDynamix line. One key benefit of Super Citrimax is that you get the quality assurance of a premium branded ingredient. This particular form of Garcinia cambogia binds the herb’s active HCA to calcium and potassium, an extra step that improves the bioavailability of the active ingredient. Super Citrimax has also been studied, so it has evidence backed benefits as well as evidence for safety and tolerability. For Super Citrimax to be able to make these claims, they must have evidence supporting them – and they do. Garcinia cambogia started out as more of a fad, but it has built up research sense, and may be one of the stronger fat burner ingredients for helping with appetite, fat metabolism, and fat blocking. As a stimulant-free fat loss supplement, Super Citrimax also has the benefit of a jitter-free fat burner experience. BodyDynamix Super Citrimax can be taken by anyone. 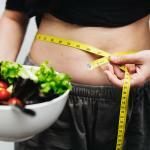 It may be more appealing to people who are interested in stimulant free fat burners. It also seems to us like BodyDynamix Super Citrimax will be appealing to people who are already taking the red-hot BodyDynamix Slimvance formulas. Super Citrimax complements both of those formulas nicely, and is a good choice for DIY stacking. We don’t see any major concerns with side effects, and Super Citrimax has been shown to be well-tolerated in human clinical research. The one issue we do have is that this formula has a dirty label with a bunch of pointless additives and synthetics. These may create side effect concerns and people with sensitivities to these kind of additives, preservatives and synthetics. Super Citrimax . A top-shelf branded form of Garcinia cambogia standardized to 60% HCA and shown to help multiple aspects of weight loss in human research studies. Convenient. One caplet per serving, easy to swallow. But note the caplets here, if for any reason you prefer capsules. Stacking Synergy. 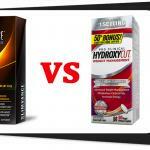 Body Dynamix Super Citrimax stacks very well with Slimvance Thermogenic and Slimvance Core Slimming Complex. Sub-clinical dosage. The best Super Citrimax research uses bigger dosages of Garcinia cambogia HCA than the 600 mg you find in Body Dynamix Super Citrimax. You can buy BodyDynamix Super Citrimax at GNC. It is also available on Amazon, so you can shop around for deals or Prime if and when you are ready to buy. In this BodyDynamix Super Citrimax review, there’s not that much to talk about because it is one ingredient, only. We conclude, however, that single ingredient is a decent presentation of premium branded Garcinia cambogia. As a standalone supplement, it is a little on the weak side, dosage -wise. 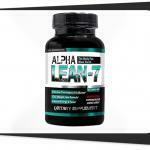 It may make more sense when stacked with other quality fat loss supplements including those in the BodyDynamix line. In any case, if you are looking for a natural, stimulant free, clinically-backed fat loss supplement, Super Citrimax is one of the better ingredients that you can find – including as the sole ingredient in this BodyDynamix supplement.